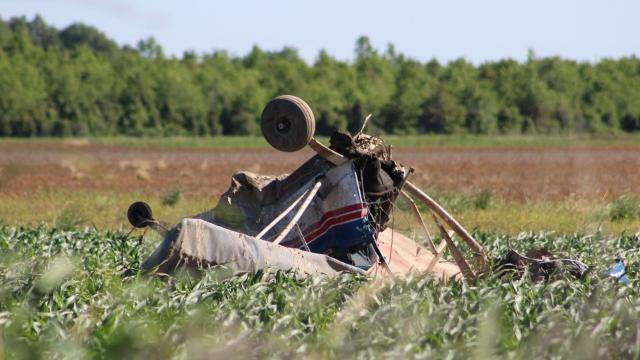 On April 30, 2017, about 1635 central daylight time, a Champion 7KCAB airplane, N1899G, impacted terrain after striking a power line near Collinston, Louisiana. 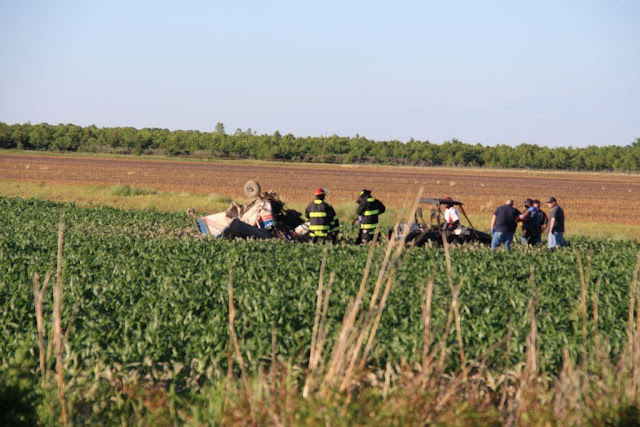 The flight instructor and the commercial pilot receiving instruction were fatally injured, and the airplane was destroyed. The airplane was registered to Professional Pilot Resources LLC, and operated by Flying Tiger Aviation LLC, under the provisions of Title 14 Code of Federal Regulations Part 91. Day visual meteorological conditions prevailed for the aerial application training flight, which departed without a flight plan from Morehouse Memorial Airport (BQP), Bastrop, Louisiana, about 1620. A witness noticed the airplane approach from the north and circle a field near his home. The airplane then descended and made a low altitude pass from south to north along the east edge of the field. As the airplane flew by, the engine sounded "good and strong." As the airplane approached a power line at the end of the field, it pitched to a nose-up attitude, and the witness observed a "shower of sparks" followed by the airplane impacting the ground in a nose-down attitude. The manager of the Flying Tigers Aviation flight school stated that the field where the accident occurred, which was adjacent to a prison, was not a designated practice field. The flight instructor, age 54, held a commercial pilot certificate with airplane single-engine land, rotorcraft-helicopter, and instrument airplane ratings. On November 15, 2016, he was issued a second-class medical certificate with a limitation to have glasses available for near vision. He obtained a flight instructor certificate with an airplane single-engine land rating on April 1, 2017; at that time, he reported a total flight experience of 3,114 hours of which 1,795 hours were in airplanes. 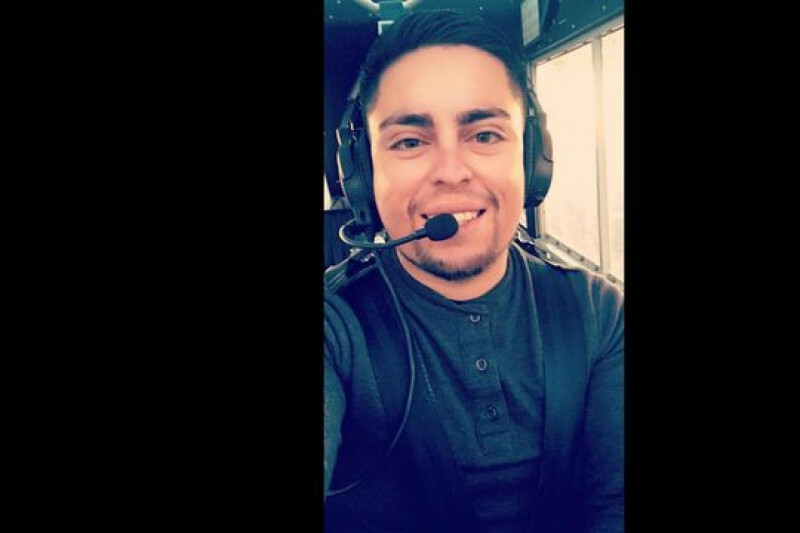 According to the manager of Flying Tigers Aviation, the flight instructor was a previous US Army helicopter pilot and an experienced aerial application pilot. His logbook was not available for review. The commercial pilot, age 22, held a commercial pilot certificate with an airplane single-engine land rating. On April 3, 2017, he was issued a first-class medical certificate with no limitations. According to his logbook, he had accumulated 650 total hours of flight experience. During the 2 weeks before the accident, the flight instructor and the commercial pilot flew together on 11 training flights in the airplane, accumulating 14.5 flight hours. These flights were part of an aerial application initial training course at the flight school. The airplane was manufactured in 1968 and was equipped with a Lycoming IO-320-E2A engine, serial number L-3761-55A, and a McCauley two-blade, all-metal propeller. The airplane underwent an annual inspection on July 11, 2016, and a 100-hour inspection on April 6, 2017. At the time of the accident, the airframe had accumulated 9,135 hours, and the time since engine overhaul was 2,079 hours. At 1635, the weather observation station at BQP, located about 5 miles northwest of the accident site, reported the following conditions: wind 220° at 8 knots, 10 miles visibility, clear skies, temperature 17°C, dew point 12°C, and altimeter setting 29.80 inches of mercury. Examination revealed that the airplane struck a rural power line, which ran parallel to a county road. The airplane dragged the power line by its landing gear about 120 ft and came to rest inverted in a cornfield. The flight control surfaces remained attached to their respective airframe surfaces, and flight control continuity was confirmed. The fuel system was intact with fuel observed at the inlet and outlet points of all components. Fuel was observed draining out of the fuel injector when the fuel lines were removed, and all fuel injector nozzles were unobstructed. The throttle plate was in the open position. The engine was rotated by hand from the front crankshaft. Thumb suction and compression were observed at all cylinders with normal valve train and crankshaft continuity. The engine fuel pump was actuated and exhibited normal suction and compression of fuel. The left magneto displayed no external damage; when rotated by hand, the impulse coupling was heard snapping, and spark was observed at all spark plug outlet wires. The right magneto was intact with no damage observed. The right magneto was operated using an electrical drill, and spark was observed at all spark plug outlet wires. 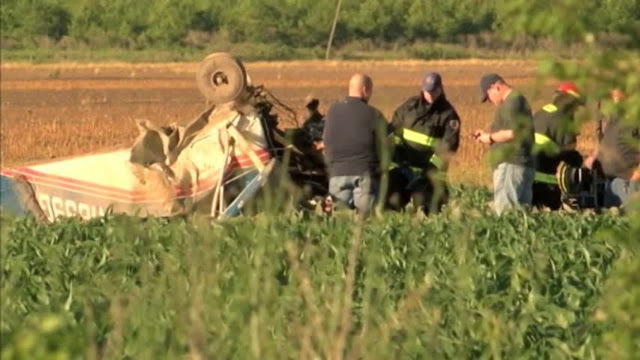 The Morehouse Parish Coroner's Office, Bastrop, Louisiana, performed autopsies on the flight instructor and the commercial pilot and attributed their deaths to multiple blunt force injuries. The FAA's Bioaeronautical Research Sciences Laboratory in Oklahoma City, Oklahoma, performed toxicology tests on the flight instructor and commercial pilot. The results were negative for all tests conducted. An Apple iPhone6 was found at the accident site and sent to the NTSB Vehicle Recorder Laboratory for download. The iPhone was not used to make a text message or voice call during the accident flight, and there were no videos or photos taken during the accident flight. 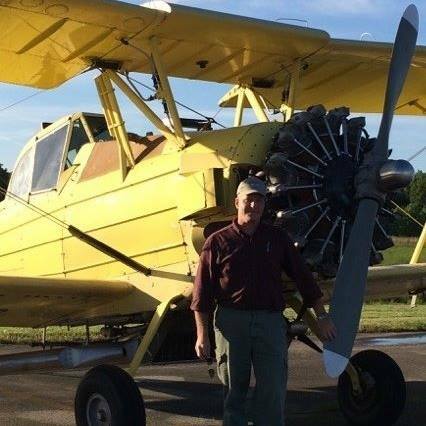 On April 30, 2017, at 1635 central daylight time, a Champion 7KCAB airplane, N1899G, impacted terrain following a power line strike near Collinston, Louisiana. The flight instructor and commercial pilot were fatally injured, and the airplane was destroyed. The airplane was registered to Professional Pilot Resources LLC and operated by Flying Tiger Aviation LLC under the provisions of 14 Code of Federal Regulations Part 91. Day visual meteorological conditions prevailed for the local aerial application training flight, which departed without a flight plan from Morehouse Memorial Airport (BQP), Bastrop, Louisiana. 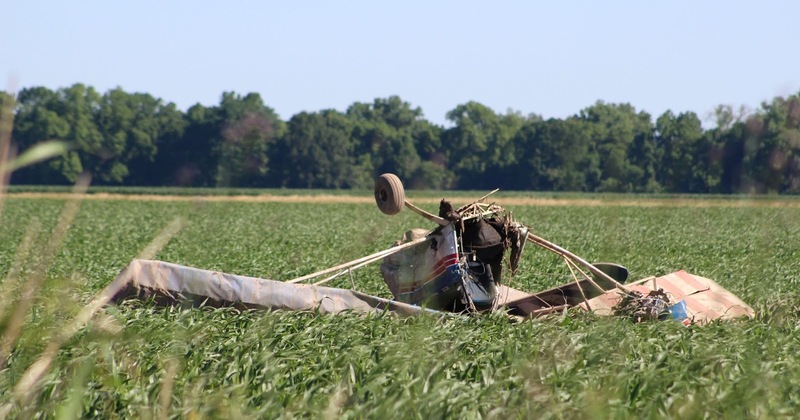 A witness noticed the airplane approach from the north and circle a cornfield near his home. The airplane made a low altitude pass from south to north along the east edge of the field. Approaching a power line, the witness noticed the airplane pitch up and saw a "shower of sparks", followed by ground impact with a near vertical nose down attitude.